Storing tea to keep it fresh! - inspiredleaf.com Storing tea to keep it fresh! Storing tea to keep it fresh! Let’s talk freshness! I’m going to assume, that if you are reading this, you have already moved past low quality, dust tea, in paper bags, and understand the difference, in choosing a whole leaf, quality tea for drinking. 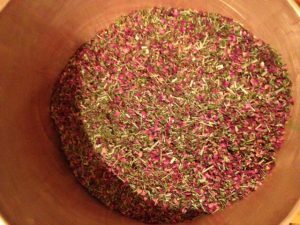 Now that you have chosen your whole leaf tea blend, the last thing you want, is to steep a cup, and find out that it has gotten stale, and no longer has that amazing taste, that makes you want to have another cup. Storing tea correctly is the key to freshness. There are several factors that go into how fresh a tea is, when you go to steep a cup. First of all, it needs to be fresh when you purchase the tea. 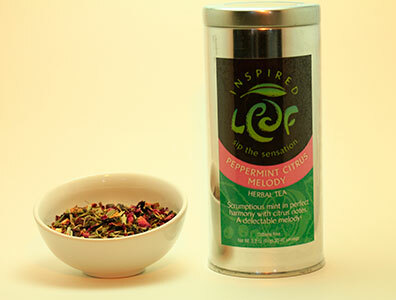 At Inspired Leaf Teas, we blend in small batches, and only source, and blend our teas when we need them. We don’t have tons of tea sitting around, waiting to be packaged and sold. This ensures that when we do package a tea blend, it is at it’s freshest. 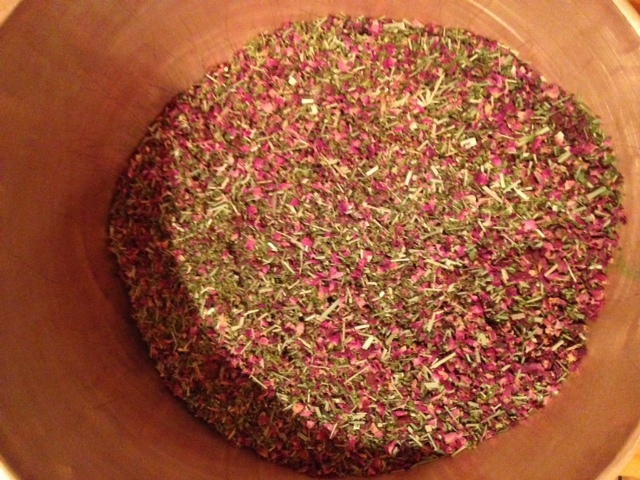 We also source our teas and blending ingredients from trusted providers, and test each shipment for freshness. The next, very important aspect, to having fresh tea, is storing tea correctly. You will notice that all 24 of our teas, are available in metal tins. Storing tea in a metal tin will lengthen the life and maintain the quality of your tea. I’ts critical to keep your tea in a container that does not allow in light. Exposure to light, will diminish the quality, and freshness of your tea. The teas packaged in glass jars, are pretty to look at on the store shelf, but the tea inside is loosing it’s freshness, as it sits there, in the store and in your home. 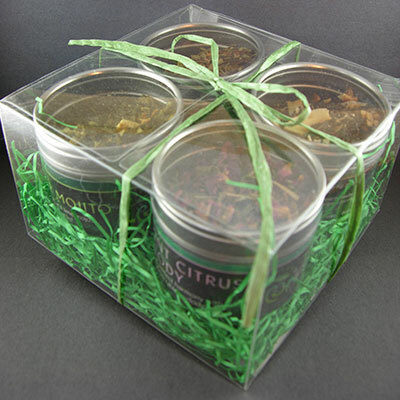 You will notice, that we also offer our blends, in a foil package. We started offering these, because customer’s that had already purchased a tin of our tea, and wanted more, didn’t want a new tin, each time they bought their tea. These foil packages also keep light out, and will keep your tea fresh for a year, but we recommend the tin for storage longer than that. Our tea tins have a sealing ring on the inside of the lid that keeps it air tight. Your tea will stay fresh for two years in our tins. The only packaging that we have, that allows any light in, is with our 4 pack gift set tins, which have a window on top of the tin. Each of these tins are much smaller than our regular sized tins, so they are meant to be used much more quickly. They also, only have the window on the top, and don’t allow light in through the entire container, so the light effect is diminished. The look is perfect for gift giving, and we felt that the small light exposure would not compromise the freshness for a small one ounce size. Other factors that can effect the quality and freshness of your teas, are heat and moisture. You want to make sure when you are storing tea, that it is kept in a cool, dry place in your house. I want your tea experience, to be worthy of the time you have set aside, to enjoy a cup of your favorite tea. Feel free to e-mail me at cindi@inspiredleaf.com with any questions or comments. I would love to hear from you!